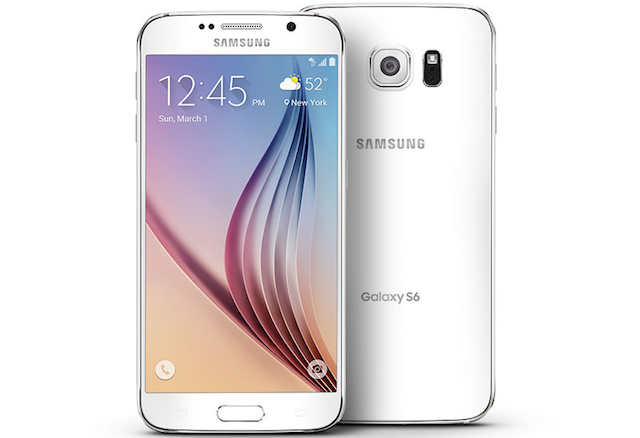 Are you an AT&T, Verizon, T-Mobile or Sprint customers with a Samsung Galaxy S6 and want to switch to Straight Talk? Or did you get a good deal on a used Galaxy S6 and want to use it with Straight Talk? Well in most cases you can, and in this article I’ll tell you how to use and explain what you need to know. With Straight Talk’s Bring Your Own Phone or BYOP plan you can sign up for Straight Talk and use your own phone. If you already a Straight Talk customer using their $45 or $55 unlimited plan you can also transfer your current Straight Talk phone number and service balance to your Galaxy S6. First there are a few things you need to understand. Rather than build their own cellular network, Straight Talk uses the AT&T, Verizon, T-Mobile or Sprint towers. When you sign up for Straight Talk, they check your zip code to see which of those four networks they offer service on in your area. When you sign up for Straight Talk, your phone, or Galaxy S6 will use one of those four networks. Most people that have a Samsung Galaxy S6 and want to sign up for Straight Talk are currently AT&T, Verizon, T-Mobile or Sprint customers and bought their phone from one of those four wireless carriers. When you sign up for Straight Talk, you would use your S6 with Straight Talk’s matching towers. This makes sense because if you are already using AT&T, Verizon, T-Mobile or Sprint that network already has service in your area and your Galaxy S6 is compatible with that network. If you already using one of those four networks, Straight Talk should offer services on those towers in your area. Now some of you may have a Galaxy S6 model that came from AT&T, Verizon, T-Mobile or Sprint but want to use it with a different network with Straight Talk. To do this your S6 needs to be compatible with that other network. Depending on which model S6 you have and which Straight Talk network you want to use your phone may be fully compatible, partially compatible, or not compatible. Samsung make several different model Galaxy S6 phones. The AT&T Galaxy S6 is the SM-G920A. The Verizon Galaxy S6 is the SM-G920V. The Sprint Galaxy S6 is the SM-G920P. The T-Mobile Galaxy S6 is the SM-G920T. Each model(sometimes called variant) of the phone is optimized for the wireless network it was made for. Your AT&T Galaxy S6 will work with Straight Talk’s AT&T network and is fully compatible. Your S6 does not need to be unlocked. Your T-Mobile Galaxy S6 will work with Straight Talk’s AT&T network and is fully compatible. Your S6 does not need to be unlocked. To use your Verizon Galaxy S6 with Straight Talk’s Verizon network, you’ll need to check the phone’s serial number or MEID with Straight Talk to make sure it is compatible. By compatible, Straight Talk means eligible. They check the MEID with Verizon to make sure they can register the phone on their network. If the phone was reported lost or stolen, it won’t be eligible. If your phone is still on a contract or payment plan its not eligible until that is paid off. Your S6 is already unlocked. To use your Verizon Galaxy S6 with Straight Talk’s Sprint network you’ll need to check the phone’s serial number or MEID with Straight Talk to make sure it is compatible. You’ll also need to have the Sprint SIM card that came with the phone. By compatible, Straight Talk means eligible. They check the MEID with Sprint to make sure they can register the phone on their network. If the phone was reported lost or stolen, it won’t be eligible. If your phone is still on a contract or payment plan its not eligible until that is paid off. If you have a Samsung Galaxy S6 from AT&T, Verizon, T-Mobile or Sprint you may be able to use it with a different Straight Talk network. Your Galaxy S6 may be fully or partially compatible. The difference between the SM-G920A, SM-G920V, SM-G920T, and SM-G920P is that the wireless and cellular radios in each model are matched up for the network they were meant for. The SM-G920A is fully compatible with Straight Talk’s T-Mobile network. The phone MUST be unlocked to use it with the T-Mobile network. The SM-G920A is not compatible with Straight Talk’s Verizon or Sprint networks. The SM-G920V is partially compatible with Straight Talk’s AT&T network. The phone supports 2 out of 4 of the LTE bands AT&T uses.The SM-G920V is partially compatible with Straight Talk’s T-Mobile network. The phone supports 3 out of the 4 LTE bands T-Mobile uses.The SM-G920V is not compatible with Straight Talk’s Sprint network. The SM-G920T is fully compatible with Straight Talk’s AT&T network. The phone MUST be unlocked to use it with Straight Talk’s AT&T network. The SM-G920T is not compatible with Straight Talk’s Verizon or Sprint networks. The SM-G920P needs to be unlocked to use it on another network. The SM-G920 is partially compatible with Straight Talk’s AT&T network but it only support 1 of the 4 LTE bands that AT&T uses. The SM-G920P is partially compatible with Straight Talk’s T-Mobile network. It supports 2 of the three LTE bands T-Mobile uses. Your SM-G920P should not be elligble for use on Straight Talk’s Verizon network. Did this article help? Still confused? Leave a reply below and let me know. I would like to use a Galaxy S6 920A, clean of any contacts and apps, unlocked from At&t, with no GSM Sim card in it when I brought it to StraightTalk BYOP. Which StraightTalk SIM card do I insert? There are 3 cards. Also all my contacts, pictures and apps are on a Virgin Mobile G3 Sprint SPHL710AVB. How do I transfer them and keep that phone number too -All going to the S6? Please help this damsel in distress. I’m kinda Tech knowledgeable. Thanks, for your direct answers. 1. You’ll need a Straight Talk ATT Compatible nano SIM card. 4. Keep in mind if you switch, your Virgin Mobile phone used the Sprint network, your Straight Talk phone will be on the AT&T network. Coverage will be different, might be better or worse depending where you live. Hi. I own a Galaxy 6 Edge. After entering my ime number at straight talk byop, it says it’s not compatible. I am currently waiting for Sprint to unlock the phone. They said it would take 3 to 5 days due to the volume of requests to unlock. Will that make a difference in whether or not my phone is compatible? Unlocking the phone may make a difference. Normally when you sign up for BYOP, Straight Talk puts your phone on the same network as your phone is from. So AT&T phones go to their ATT towers. Verizon goes to the Verizon towers. T-Mobile to their T-Mobile towers. With Sprint, its less clear what they do. Straight Talk doesn’t sell Sprint SIMs. You’ll need the phone and your Sprint SIM. And the MEID will need to come back as compatible. In 2018 its not clear to me that Straight Talk will even activate a phone on the Sprint towers. I’ve never done it. And I haven’t spoken with any readers in years that have shared any meaningful details about doing it. The mobile network state is disconnected. What about the G920R with US Cellular? It looks to me as if the phone is partially compatible with the Verizon network. compatible with 2/3 LTE bands. To use with straight talk the phone would need to be unlocked and eligible. You van check eligibility here. Got this Verizon galaxy S6 off my buddy when he upgraded. I switched it to Verizon strait talk but i can’t Use the Hd calling on the phone.. Not sure why it won’t let me when the phone is unlocked and paid off, any help would be great..
Last I checked Verizon does not let the the other prepaid companies like Straight Talk use some of the advanced features of their LTE network like WiFi calling. If you require the HD voice features, Verizon’s prepaid service may be a better choice for you. See my previous articles and videos where I discuss this in more detail. Ok i have a huge problem. I have the g920t and i can get service but i drop calls allot and can’t send text messages. My data is really slow as well. I have the reseller apn and that helped a little what can i do to fix this. Are you using that 920t with Straight Talk’s ATT network? Does att work where you live? Where you previously a T-Mobile customer? oh.. and the APN is only used for data and picture messages, so if you can’t send SMS text messages there is a deeper problem. I assume the g890a is the ATT version of this phone, most of the info in this article should be the same. You can check for yourself too. See Buying the Samsung Galaxy S6 Edge International Model (SM-G925F). watch the video at the end of the article. Does this include s6 edge+ ? which specific model do you have? 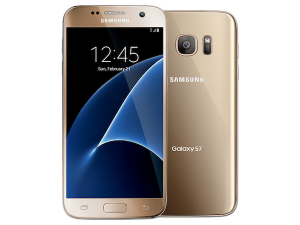 i want to buy the Samsung Galaxy S6 Edge SM-G925F Unlocked(International Version ). Its says that it works with at&t and t-mobile. Im kinda slow to deciphering all this…so please bear with me. I want to buy an UNLOCKED Verizon Samsung Galaxy S6 SM G920V….and use it with STRAIGHTTALK. So in the explanation you gave, I’m confused if it will or wont work…plz advise! All G920V phones are unlocked. That model will work with Straight Talk’s AT&T network. You’ll need to check the MEID (serial number) of the phone on straighttalk.com to find out if that specific phone is eligible to use on Straight Talk’s Verizon network. Which Straight Talk network do you want to use?